Christmas time is fast approaching, so it’s time to start thinking about how you are planning on spending Christmas, with the family altogether. Sometimes this can be an exhausting task, fitting your entire family into your home or travelling and squishing into another. You never really feel quite comfortable. Wouldn’t it be nice to have the whole family together to celebrate and enjoy Christmas, without worrying about mattresses on the floor, having enough dining chairs and running out of hot water? We’ve got the solution for you. Since it is only 22 Friday’s until Christmas, (it’s closer than you think!) how about a trip to the Gold Coast for a beachside Christmas in the best holiday destination in Australia. The perfect family holiday package – that can fit everyone in comfortably. With 24 properties to choose from, we’ve got something to suit every family, and in the best locations on the Gold Coast. 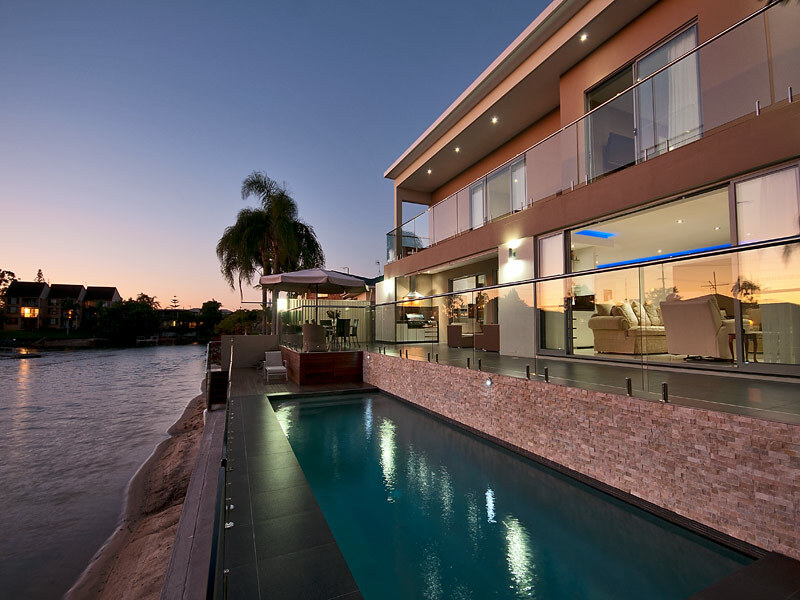 One of our favorites for big families, Luxe on Lotus has enough room for 16 people, with generous living space, a waterfront pool, and even a cinema room – this modern and luxurious house is perfect fit for the family to be all in one place. To make the perfect family holiday package complete, there is so much to do on the Gold Coast for the whole family to enjoy. Days at the beach, theme parks, shopping, dining and entertainment. We’ve got the all the info to help you make the most of the Christmas holidays. See more things to do for your Gold Coast Holiday. So take the step, and mix up your Christmas holiday traditions, and get the whole family together comfortably in one of our Elite Holiday Homes. After all, spending Christmas with the family is a special time of joy and celebration!